Bryan Sutton is an American musician. Primarily known as a flatpicked acoustic guitar player, Sutton also plays many other instruments including mandolin, banjo, and electric guitar. Sutton first came to prominence as part of Ricky Skaggs' bluegrass band Kentucky Thunder. Sutton eventually left the band to focus on session work. In addition to Skaggs, Sutton has toured with the Dixie Chicks, Jerry Douglas, Sam Bush, Béla Fleck, Hot Rize, Chris Thile, Tony Rice and others. In 2007, Sutton toured with Chris Thile & The How to Grow a Band, filling in for Chris Eldridge while he was on tour with the Infamous Stringdusters. 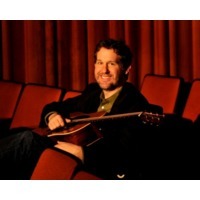 In 2011 Sutton began teaching guitar online at the School of Guitar, as part of the Academy of Bluegrass. Sutton endorses guitars built by Dana Bourgeois. He plays a Bourgeois "Country Boy Deluxe" model dreadnought and also has his own signature model, the "Banjo Killer" slope-shouldered dreadnought. He also regularly performs with a 1940 Martin D-28.